This year marks the 14th anniversary of Harwich International Shanty Festival. It has journeyed a long way since its small beginnings with a bunch of friends meeting up in a couple of pubs to drink good beer and sing good shanties, but we like to think that the initial idea of a cosy pub atmosphere, good friends and rousing shanties is still at the heart of all we do. Nowadays the whole town of Old Harwich resounds to the sound of Shanties and Sea songs and in addition there are concerts, barge trips, street theatre, maritime crafts, pirates, a Shanty train and much more. Enjoy the Shanty Train, running backwards and forwards between Harwich Town and Manningtree Station; visit the wonderfully restored Redoubt Fort with displays and demonstrations of maritime crafts, Street Theatre, children’s entertainment, pirates and Napoleonic Re-enactment; attend one of the many workshops on offer; take an informative guided walk through the old town, attend one of our prestigious concerts or just snuggle up with a beer and a song at one of the many hospitable venues throughout the town. This year we welcome shanty singers from France, Denmark, Canada, Poland and the Netherlands as well as from all over the U.K. There’s a full programme of events from mid-day Friday until midnight Sunday, many are free to attend. There’s also a 90 minute trip on board a Thames Sailing Barge which features entertainment from our festival artists; this is always a highlight of the weekend. 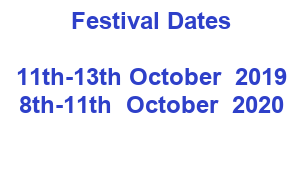 And in 2019 there will be two trips on the Friday of the Festival as well as on Saturday and Sunday. Workshops and talks this year include Shanties for Beginners, Knot Tying, aspects of Harwich History and the always popular How to Play the Bones. Our popular Spoken Word Sessions where you are encouraged to bring along and share your maritime poems, stories and monologues take place on both Saturday and Sunday. There are always a series of small intimate concerts in addition to our big Saturday evening concert featuring all our top artists. A full programme and tickets for priced events can be bought via this website nearer the time. Our 2020 Festival promises to be a very special event. As many of you will know, 2020 marks the 400th Anniversary of the historic voyage of the Mayflower to the New World. Eleven destinations in the U.K and the Netherlands are gearing up for commemorative events to mark this occasion. Here in Harwich we are particularly well placed to be involved as Christopher Jones, Master & part owner of the Mayflower was born and lived in the town. The Mayflower was a Harwich ship, plying its trade from this port for many years before that historic voyage. Celebrations under the Mayflower 400 banner commence in all 11 towns in November 2019 and continue for a whole year. It is expected that a large number of American visitors will attend many of the planned events. 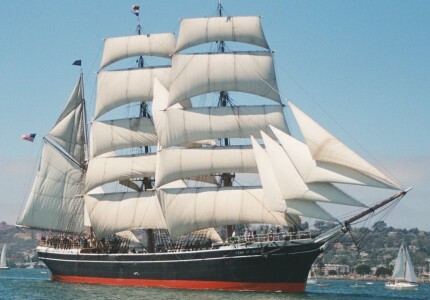 Harwich International Shanty Festival is heavily involved with the planning and delivery of this towns programme of events and our Shanty Festival in October 2020 is set to be the biggest yet. Don’t miss it!! Through the years over which the festival has been running a huge amount of interest has been generated locally in singing and in shanties in particular and their relevance to the residents of Harwich. Workshops have been run which have resulted in a special Song for Harwich being created and Harwich now has its own Shanty Group, following workshops at a previous festival. In 2013 local Primary Schools worked together to create new Shanties, which were sung over the festival weekend. A book with a CD of these new songs was also produced. In 2014 we commissioned visiting artists to write new songs concerning Harwich links with the Mayflower’s trip to the New World, captained by a Harwich Man, Christopher Jones. Seventeen new songs were performed and a CD of these songs has been produced. We have run several workshops with local schools, teaching them shanties and how to play the Bones and will be repeating this particular workshop this year. Please Contact Us if you require any further information. We also have a links page to local attractions, companies and partner organisations.